Summer means trips to faraway foreign lands, weekend getaways around your town, road trips, boat rides, barbecue parties in the backyard – lots of fun, and, of course, lots of pictures clicked. The latter need to go through at least basic editing to be shared and uploaded online, and we all know, how tedious this can be. In the end, who has time to crop and enhance hundreds – or quite often even more! – of pictures? Things can become much easier if you get a special piece of software that enables you to edit pictures in batches – PhotoBulk. 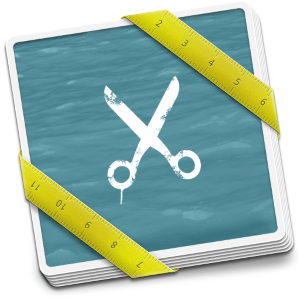 This application can resize, rename, optimize, watermark multiple pictures at a time – that is what bulk editing is about! I had this folder with N number of pictures from the latest vacation and enthusiastically started editing them one-by-one. Forty images down the line I realized it will not probably take me too far, especially since all my editing consisted of repetitive cropping and optimizing images for uploading them online. Here is when I bumped into PhotoBulk, the software that saved me lots of time and effort, and made picture editing quite a bit of fun in the end. PhotoBulk is really easy-to-use, all you have to do is to drag-and-drop all your pictures into the app’s window, select required editing options and click ‘Start’ button. A minute later your pictures are ready to be sent, uploaded online and shared. Could it be any easier? Let us have a look at what the app has to offer. 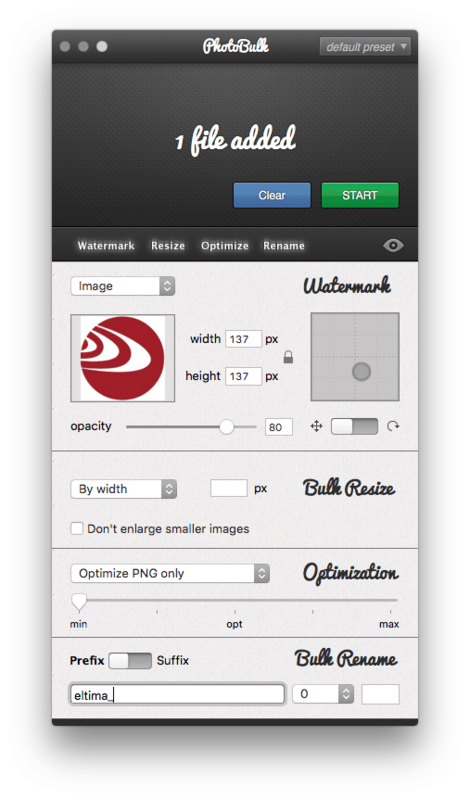 You’d most probably want your watermark to look the same on all your images. 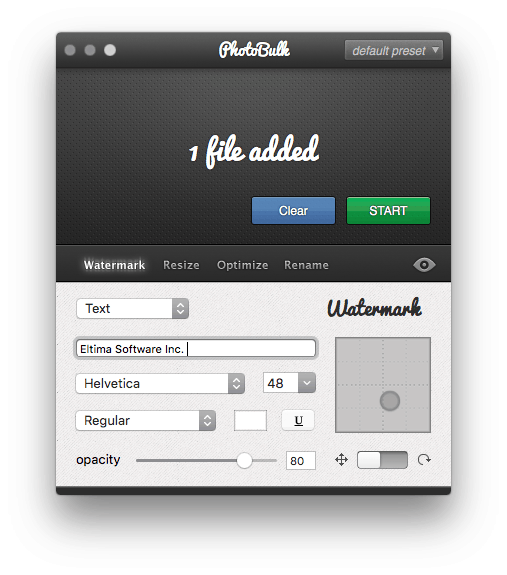 With PhotoBulk it is easy – your text/ image/ script/ date stamp – it’s upto you to choose – watermark can be added to all your images in one go. Once you choose what your watermark will look like, place it on your images using a per pixel controller and adjust settings such as opacity and angle under which it is displayed. Your images are now protected from unauthorized use. Images quite often need to be resized to be uploaded online or e-mailed, who would want for their mail or web-site to load forever if your images are of significant size. 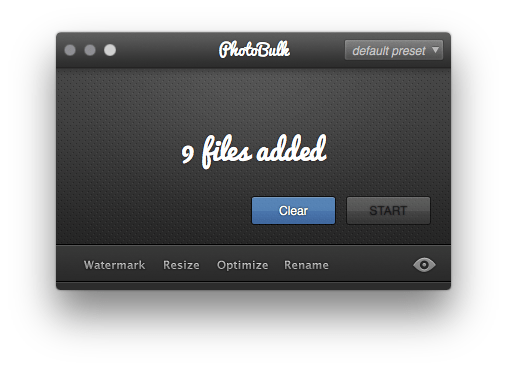 PhotoBulk helps fit your images in a particular size or resize them by a particular percentage. Optimization is another frequently required option these days, it changes the size of an image without affecting its quality or resolution. 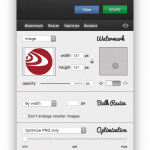 PhotoBulk supports optimization for images of JPEG and PNG format. Surely, cameras have their own logic when assigning names to photos they take. But do we really understand that logic? Perhaps not. If you decide to rename your images to organize them in a better way PhotoBulk can do it for you in an easy and efficient way. There are a few commonly used image formats, and most web-sites and applications accept all of them. However there might be a chance of a particular web-site wanting images in a particular format, and this is where PhotoBulk can be of great help. It can convert a large number of images into PNG, JPG, JPEG or TIFF format and create GIF files. 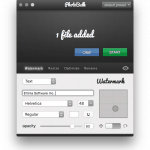 PhotoBulk is an easy-to-use compact bulk image editor that has just the right number of options without overwhelming its user. 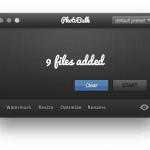 At $19.95, PhotoBulk is a real deal, and it is a must have for those who work with a large number of images regularly. Check out the demo version to see how it works.